Samantha Murray and Rex Pflueger at the simulated news conference with Goshen Write on Sports on Thursday. 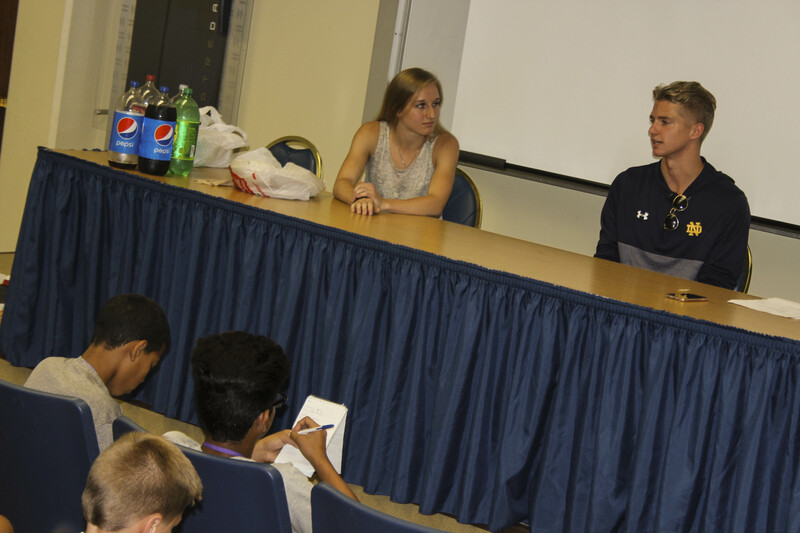 Goshen Write on Sports campers interviewed Rex Pflueger, a junior guard, and Samantha Murray, a senior distance runner, on Thursday during a visit to the University of Notre Dame. One theme that emerged was dedication. 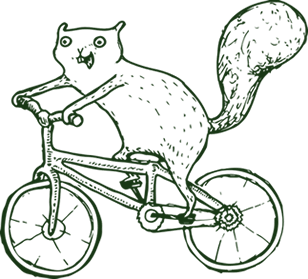 During the summer the athletes are continuing to train and take classes. Pflueger is taking macro ecomomics, for example, while attending practices and waking up at 5:30 on Tuesdays and Thursdays for conditioning and yoga. Murray said by summer’s end she’ll be logging 50 miles a week. The conversation was wide-ranging, giving the campers many possible angles for their spot stories. The athletes ended by recommending some books for the young journalists: Murray suggested Once a Runner, and Pflueger mentioned the Inner Game of Tennis. This is the fifth consecutive year that Notre Dame has hosted Write on Sports (which included a pizza lunch).